September is just a few weeks away and with the Galaxy Note 2 and iPhone 5 release date fast approaching, people who want to have the latest and best smartphones are now panicking as to which device they should end up getting. Now, we’ve just gotten word that HTC may just make that decision a little harder. The Galaxy Note 2 will supposedly be unveiled at the Samsung Unpacked event in Berlin near the end of August. Apple, on the other hand, will have an iPhone 5 release date that falls in September. 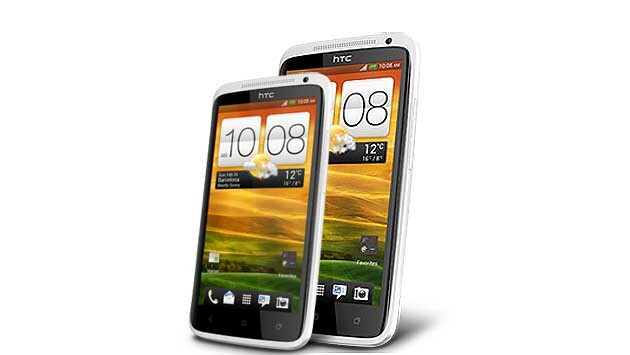 And while those two events are happening soon, HTC has decided to throw its hat in the ring and turn the smartphone duel into a three-way tussle by unveiling its next flagship smartphone, the HTC One X + aka HTC Endeavor C2. Our friends over atStuff.tvhave shared information from a “trusty mole” working with the Taiwan-based manufacturer and the HTC One X’s successor, currently codenamed HTC Endeavor C2, may be the best HTC phone just yet. Rumors suggest that this new phone will have an insane 1.7 GHz quad-core processor (possibly the NVIDIA Tegra 3+) and will have an improved battery, new colors/design and will come with the impressive UrBeats headphones, something that audiophiles out there will truly appreciate. The HTC Endeavor C2 will also supposedly be sporting a massive 5-inch screen, a feature that will possibly push it up to phablet category and put it toe-to-toe against the Samsung Galaxy Note 2. On the software side, the HTC Endeavor C2 will be running Android Jelly Bean 4.1 and will come with HTC’s ClearVoice technology, to improve call quality, and HTC Watch 2, a video-on-demand service that should work well with the phone’s bigger screen. For more news on the Galaxy Note 2, HTC Endeavor C2 and iPhone 5 release dates, features and rumors, be sure to sign up for our newsletter and follow us on Twitter!